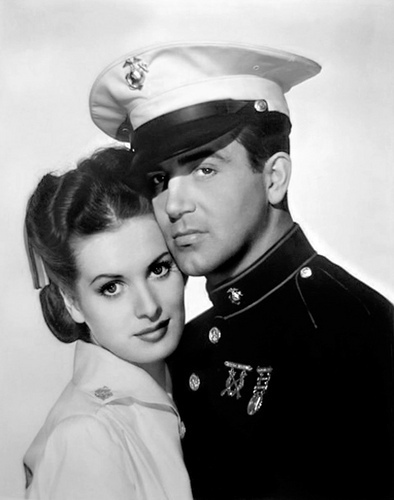 Maureen O'Hara & John Payne. . Wallpaper and background images in the film klasik club tagged: classic film movie classic movie actress maureen o'hara john payne. This film klasik photo contains pakaian serdadu resimen, regimentals, baret hijau, pasukan khusus, tentara elit, green baret, prajurit elit, dress blues, gaun putih, and blues gaun.